Mr. Mehta is part of the founding family of the Deepak Group involved in Chemicals, Petrochemicals, Fertilisers, Seeds, Infrastructure, and IT/ITES services. The group has a turnover exceeding US$ 700 million. Since 1984, he has been actively associated with Deepak Nitrite, a leading supplier of organic, inorganic and fine chemicals to the global chemical industry, and leads the global business strategy for the company. 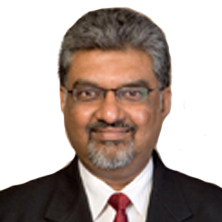 Mr. Mehta brings extensive operational experience and knowledge in the agricultural sector and investment community. He is a science graduate with Honours and a post graduate in Chemical Engineering from the University of Texas, USA.